I’ve decided instead of posting every Wednesday (which I haven’t exactly been great at) I will begin posting every Monday & Friday starting next week! I already have the first of my “Transitioning into Fall” series up and ready to be published for you guys first thing Monday morning! But for now I thought I would just do an OOTD style update (again) along with some things that have made my week a little more bearable. This week I spent two days in the big ATL for a work conference. I secretly love work conferences. I love getting together with people in my company and talking about new programs and new markets I can tap into and new ways of reaching my audiences of students. It’s the PR geek gene I suppose. 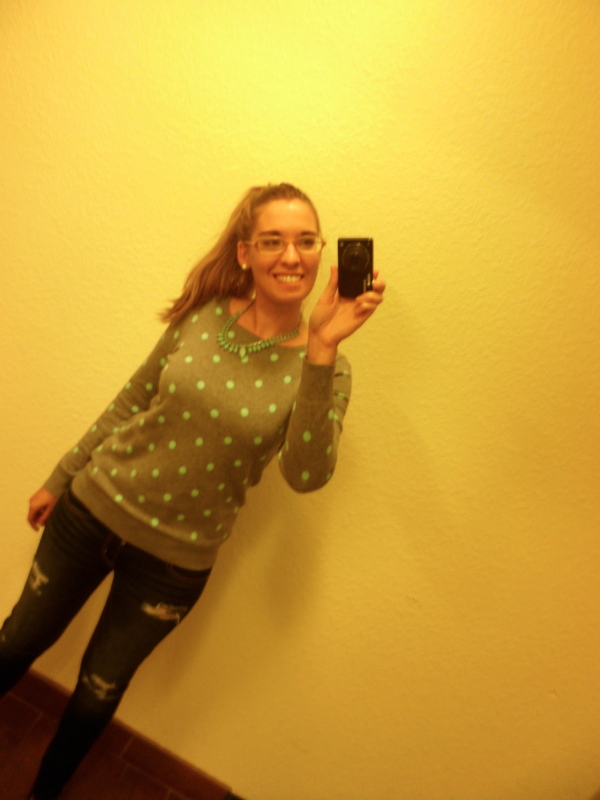 But these are two outfits I wore this week. The first was pretty basic. I work in higher ed and our school colors have red in them so I decided to show my support and wear red! Look at my awesome accessorizing skills with that ponytail holder. The next outfit was for our casual work networking dinner at this awesome restaurant called Joey D’s Oak Room. 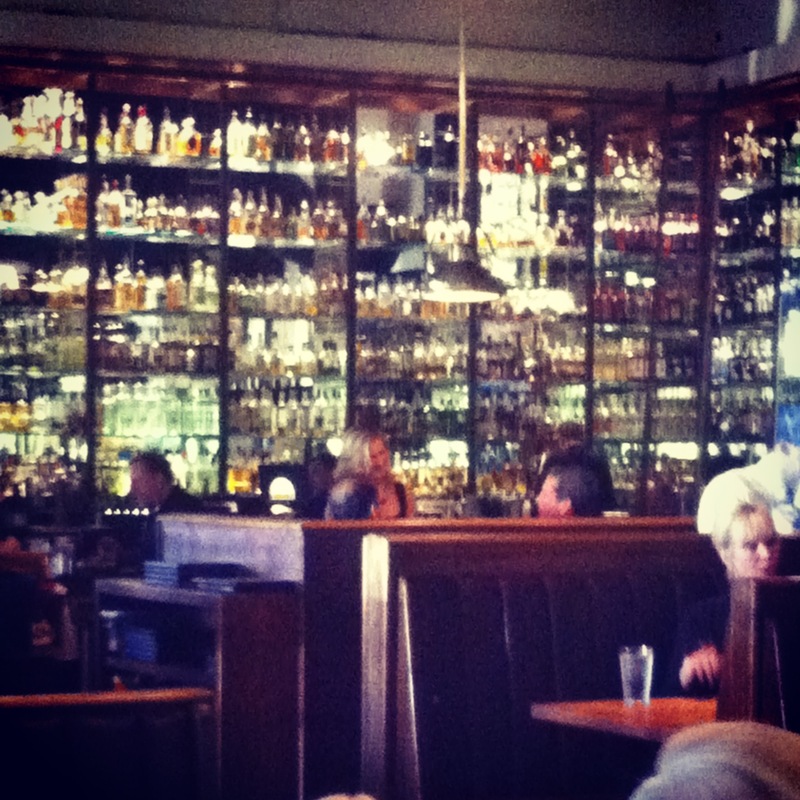 Twas delightful but I, of course, was enamored with DAT BAR! Look at this thing. I wanna live in it. I had been freezing the whole day of the conference so I decided to be warm and chose a sweater/jeans look with ballet flats. I think I’m a photographer with that MySpace angle shot. 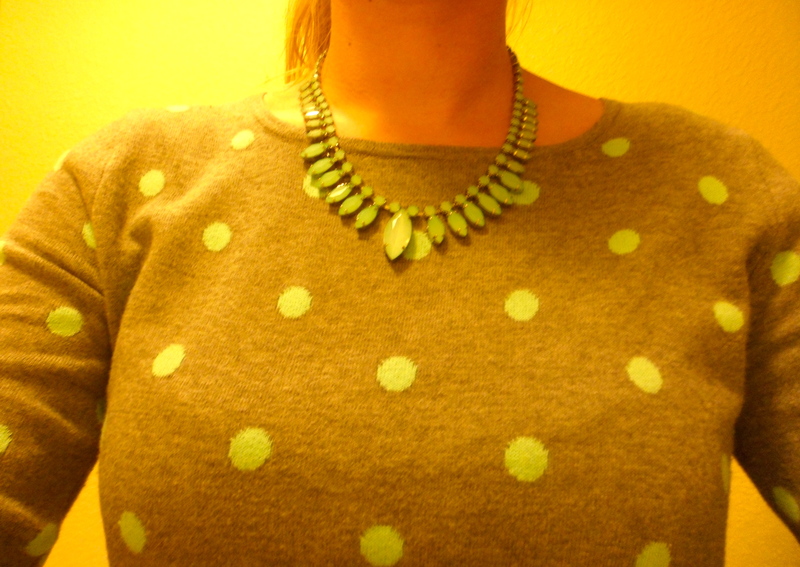 Both sweater and necklace are from Old Navy. Then I drove the four hours home and had to talk several of my lovely little students off the deadline ledge. As for things making my week better…I’m a HUGE fan of beauty gurus big and small on YouTube and one of my favorite YouTube funny ladies, Grace Helbig, has come out with a beauty show! It’s called Graces Faces and its fantastic. Go check it out over on the ilovemakeup channel on YouTube! Hey! 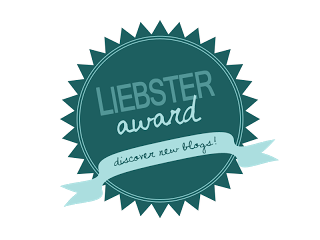 Just wanted to let you know I nominated your blog for the Liebster Award. Check out my post for more details!! Congratulations!